Robbie Davidson is Murray’s son and is the third generation Davidson working with hearing aids. 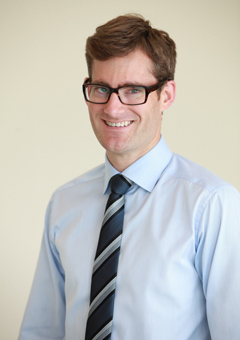 Robbie started working part time in 1999 while he was studying at the University of Ottawa. In 2006, he graduated from the University of British Colombia with a Master’s degree in Audiology. A member of the College of Audiologist and Speech-Language Pathologists of Ontario, Robbie has spent considerable time continuing his education and attaining special certification in areas including cerumen management. He also has advanced training in working with invisible devices which are inserted deep into the ear canal. This past year, he has was selected to participate in an international hearing aid study and has given presentations to groups of audiologists and the hard of hearing on different areas of the field of audiology.